Spring and summer are going to arrive sooner then you expect. Why not be ready.You want to be able to drive, go to the zoo, take a walk etc etc. and not be blinded with the glare don’t you. Wouldn’t it be nice not to squint and have your eyes water and not be able to see because of the glare. You can get FYI’s in polarized polycarbonate for $150. Awesome, and just think single vision lenses are even less then that. Don’t wait till the sun is blinding you, come in now and get them ordered before you need them. Another thought, children actually need them more then adults. Come in and ask me why. OK Ok, so you don’t wear progressive lenses, you wear SINGLE vision. I have you covered. You can still get polycarbonate transitions, and anti glare with all that it entails for the low price of $150. So you can still have money in your pocket for spring fun, and have a great pair of glasses too. No insurance and no discount at this low price and some prescriptions may not apply but I’ll bet I can find what you need at some price point that still won’t break the bank. 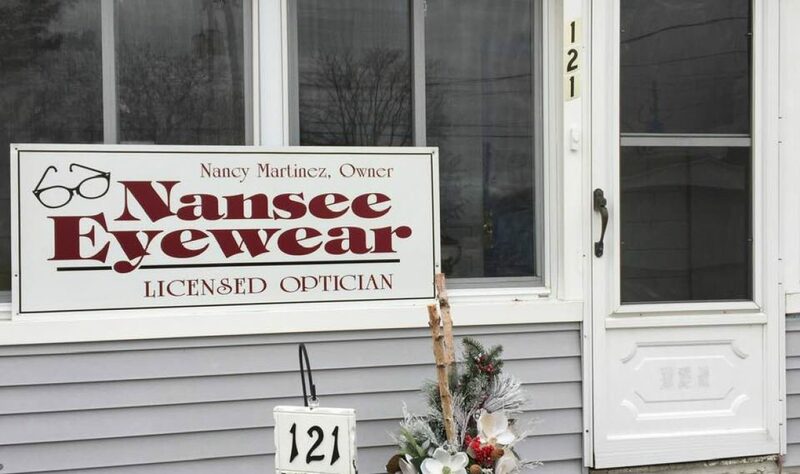 Why bring your prescription to NanSee EyeWear? I get asked this question a lot. With most responses from the patient being are you cheaper? Well I am less expensive than some but more expensive than others. So why come to me? Service!!! I treat my customers like I would like to be treated. Do I always succeed? I would love to tell you yes but I would be lying. I am human and with that said some of my human side can leak out. I do strive for your faith and trust in me.